The Board of Trade Building in 1900, located at 2-8 Front Street East, at Front and Yonge Streets. Photo from the Toronto Archives, Fonds 1568, Item 0217. As the 19th century progressed, Toronto continued to prosper as it was the provincial capital and a major financial centre. Thus, a Board of Trade was established in 1845 to promote the interests of the business community. In 1884, the Board amalgamated with the Corn Exchange and a larger building was required. Members of the Board felt that it was important that the new headquarters reflect the prosperity and importance of the city. To ensure that this was accomplished, an architectural competition was initiated, the budget for the structure set at $200,000. Eight American and eleven Canadian designs were submitted, which were evaluated by Professor Ware of the Columbia University Department of Architecture. He recommended three of the designs, two of them Canadian and one American, and then allowed the Board to decide which firm should be granted the commission. Many Torontonians were upset when the Board chose a British company with offices in New York, instead of the well-known Canadian firm of Darling and Curry. To add strength to the dispute, it became known that Professor Ware had stated that the Toronto company’s submission was superior. Despite the howls of protest, the Board hired the American architectural firm. During the construction, three floors of brickwork collapsed to the ground because the support beams were unable to sustain the weight. The architects dismissed the building company, and shortly after, the Board dismissed the architects. Edward A. Kent from a Buffalo firm was hired to complete the building, according to the original designs. When the Board of Trade Building was completed in 1892, it was $140,000 over budget. With its Gothic and Romanesque designs, the building was a picturesque structure that attracted great attention from tourists and local citizens alike. 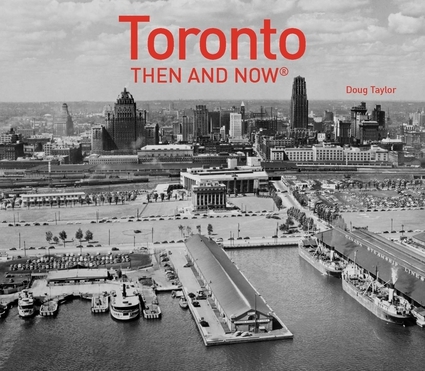 It was a favourite among those who purchased postcards of Toronto, in an era when postcards were a highly popular. Despite the many problems that had occurred, most critics agreed that the seven-storey structure was one of the finest in Toronto. It was felt that it ably represented the ideals and prosperity of the city. They ignored the fact that it was almost an exact replica of the Boston Chamber of Commerce Building, erected a few years earlier. By far the most impressive structure on Front Street, it overshadowed the warehouses and commercial structures to the east and west of it. The tower above the seventh floor, with its Turkish influences, dominated the corner. Its facades were faced with bricks from Toronto brickyards, and Credit Valley sandstone was employed for decorative trim. The windows on the top floor had gabled arches above them. They were the largest windows in the structure, allowing generous light to enter the top floor where the board meetings were held. On the same floor was the club room. The Board of Trade occupied the building until 1914, when it sold the premises and relocated north on Yonge Street to the Royal Bank Building (at King Street). In 1921, when the Toronto Transportation (Transit) Commission was created to operate the streetcars and buses of the city, it moved into the former Board of Trade Building. The TTC remained in the premises until 1958, when it relocated to Yonge and Davisville. The Toronto Board of Trade Building was demolished in 1958. During the 1960s, many of the other 19th-century buildings on Front Street were also demolished. The Flat Iron (Gooderham) Building and the warehouses on the south side of Front, west of Jarvis Street, were among the exceptions. After the demise of the Board of Trade Building, there was an expansive parking lot on the site. However, in 1982, a 13-storey office complex of glass and steel was constructed on the location—the EDS Office Tower. It is today directly across from the Sony Centre for the Performing Arts. I remember the Board of Trade Building as I passed it many times when visiting the St. Lawrence Market in the 1950s. I travelled to the market via the old Yonge streetcars, disembarking at Yonge Street and walking east along Front Street. However, being a teenager at the time, I never stopped to admire this exceptional building. I now regret my lack of interest. Board of Trade Building, the photo taken shortly after it opened in 1892. Ontario Archives, 10001936. The building’s entrance on Front Street in the 1890s. Ontario Archives 10001937. Gazing north on Yonge Street in 1912, from the roof of the old Customs House (now demolished) on the southwest corner of Front and Yonge Streets. The Board of Trade Building is on the right-hand(east side) of Yonge. Toronto Archives, F1244, Item 10072. The Board of Trade Building on March 2, 1923. View looks toward the northeast corner of Front and Yonge Streets. Toronto Archives, S 0071, Item 1905. View of the north side of Front Street on January 15, 1924. The Board of Trade Building is visible on the northeast corner of Front and Yonge. The construction site in the foreground remained empty for quite a few years. However, in 1929, the Dominion Building (Federal Customs building) was constructed on it. Toronto Archives, F1266, Item 1860. Gazing east along Front Street at the north side of the street, c. 1930. The Bank of Montreal, built in 1885, on the northwest corner of Front and Yonge, is where the Hockey Hall of fame is located today. Toronto Archives, F1244, Item 7189. The Board of Trade Building in 1954, Toronto Public Library, r-5928. The Board of Trade Building in 1958, when it was being prepared for demolition. Toronto Archives, F1526, F10040, Item 0016.